After listening, leaders need to tell great stories in order to sell their products, but more important, in order to sell their ideas. Storytelling is what captivates people and drives them to take action. Whether you're telling a story to one prospect over lunch, a boardroom full of people, or thousands of people through an on-line video - storytelling wins customers. Great leaders are who they say they are, and they have integrity beyond compare. Vulnerability and humility are hallmarks of the authentic leader and create a positive, attractive energy. Customers, employees, and media all want to help an authentic person to succeed. There used to be a divide between one’s public self and private self, but the social internet has blurred that line. Tomorrow's leaders are transparent about who they are on-line merging their personal and professional lives together. There is nowhere to hide any more and businesspeople who attempt to keep secrets will eventually be exposed. Openness and honesty lead to happier staff and customers and colleagues. More important, transparency makes it a lot easier to sleep at night - unworried about what you said to whom, a happier leader is a more productive one. No matter how small your organization, you interact with others every day. 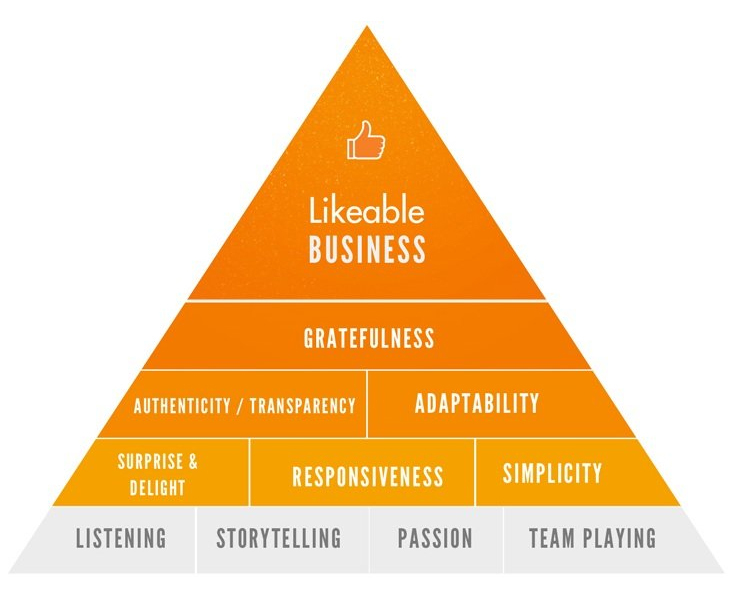 Letting others shine, encouraging innovative ideas, practising humility, and following other rules for working in teams will help you become a more likeable leader. You’ll need a culture of success within your organization, one that includes out-of-the-box thinking. The best leaders are responsive to their customers, staff, investors, and prospects. Every stakeholder today is a potential viral spark plug for better or for worse, and the winning leader is one who recognizes this and insists upon a culture of responsiveness. Whether the communication is email, voice mail, a note or a tweet, responding shows you care and gives your customers and colleagues a say, allowing them to make a positive impact on the organization. Most people like surprises in their day-to-day lives. 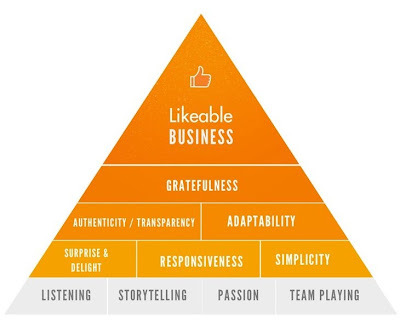 Likeable leaders under promise and over deliver assuring that customers and staff are surprised in a positive way. There are a plethora of ways to surprise without spending extra money - a smile, We all like to be delighted — surprise and delight create incredible word-of-mouth marketing opportunities. By showing others the same courtesy you expect from them, you will gain more respect from co-workers customers, and business partners. Holding others in high regard demonstrates your company’s likeability and motivates others to work with you. This seems so simple, as do so many of these principles — and yet many people, too concerned with making money or getting by, fail to truly adopt these key concepts.